Yes, we agree – our hard-shell tacos are the bomb! And yes, grab your friends from the nearby airport and treat them right away to some Atlanta hospitality by bringing them straight to Taco Pete! 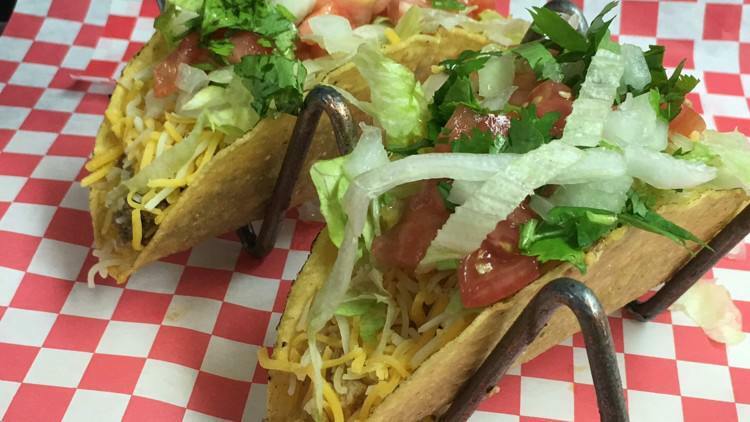 “Taco Pete’s soft-shell tacos, quesadillas and hot dogs are delicious, too, especially when compared to the slap-dash fast-food options that are the norm. Taco Pete’s owner, Reo, grew up in the business and learned it from his Father originally out in Los Angeles – that’s why it tastes like and IS the REAL deal. Just don’t ask Reo to give up his cooking technique secrets – just come taste them instead. Just read the AJC article, but here’s fair warning – the pictures, the descriptions, and the praise are going to make you want more Taco Pete – so take a look at our menu and come on down to our East Point taco joint!